Hip Hop. Rap. Def Poster 8. 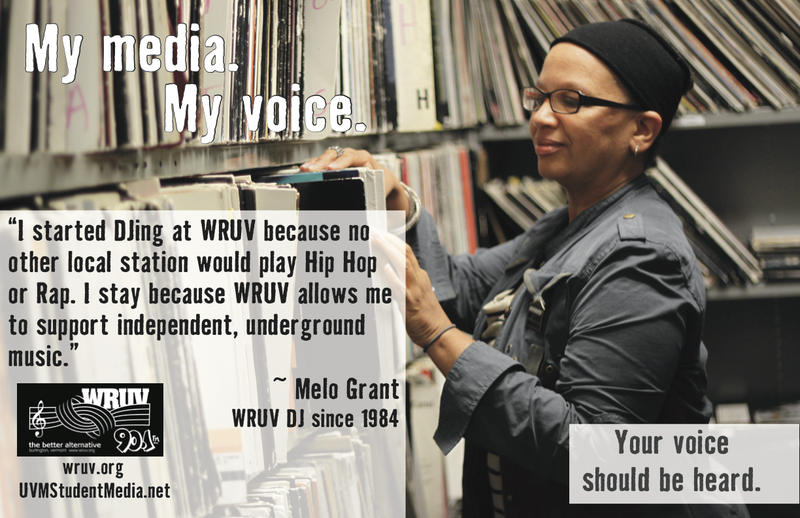 About half of the DJs at WRUV are non-students: often professional DJs who play in the local community as well as folks who dedicate 100 percent of their DJ talent to WRUV, just another part of WRUV that makes it unique in Northern Vermont. So here is Melo Grant, a non-student DJ who’s been with us since 1984.